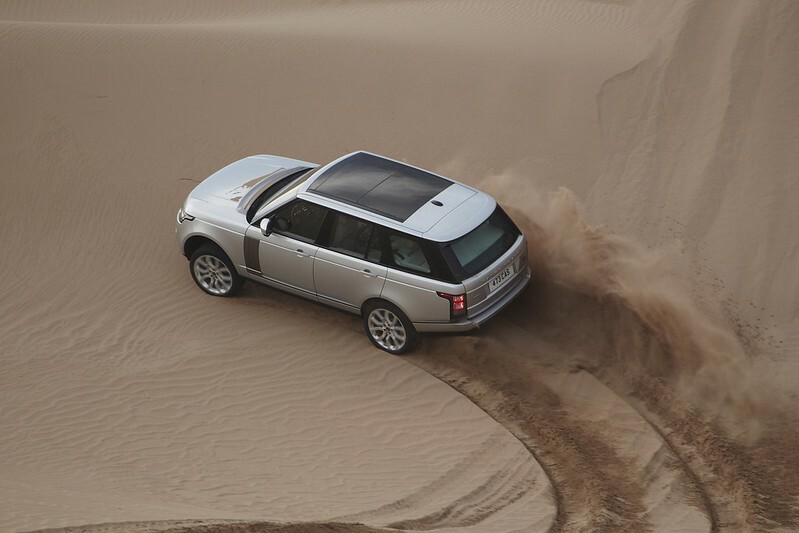 Dubai, February 20th 2013 – The highly-acclaimed All-New Range Rover is offering customers increased powertrain choice with the introduction of the advanced new LR-V6 supercharged petrol engine. The state-of-the-art 340PS 3.0-litre V6 supercharged combines effortless performance and exceptional refinement with enhanced fuel efficiency, and provides an attractive new engine choice for key global markets which favor smaller capacity petrol engines. The engine’s advanced supercharged design is ideally suited to the All-New Range Rover, delivering smooth, seamless performance with generous torque throughout the rev range. Paired with the slick and responsive eight-speed automatic transmission, the 3.0-litre V6 supercharged offers drivers an effortless and confident drive, reaching 100kph from rest in just 7.4 seconds ( 60 mph in 7.1 seconds). With CO2 emissions of 254g/km, the LR-V6 supercharged achieves a 15 percent reduction over the 5.0-litre LR-V8 naturally aspirated. From the outset, the new engine has been engineered to support the Range Rover’s full breadth of capability, including extreme off-road tilt angles up to 45 degrees, wading depth of 900mm and towing weight up to 3,500kg. The 3.0-litre LR-V6 supercharged petrol engine has been developed by Land Rover power train experts from the award-winning 5.0-litre LR-V8 unit which has successfully powered the latest generation of Range Rover models. The 3.0 V6 supercharged shares many of the V8′s key technologies including direct injection, variable valve timing and aluminum construction. It offers comparable levels of refinement and driveability to the naturally-aspirated version of the V8 engine, but with greater specific output and efficiency courtesy of supercharging technology. With a peak output of 340PS at 6,500rpm, the 3.0-litre LR-V6 supercharged has been developed to offer exceptionally strong torque throughout the engine speed range, producing maximum torque of 450Nm between 3,500 and 5,000rpm. The new quad-cam V6 shares its all-aluminum construction with the V8, with the lightweight die-cast block supplemented with cross-bolted main bearing caps to increase rigidity and therefore refinement. The four-valve cylinder heads are constructed of recycled aluminum. The valves themselves are subject to control by a dual independent variable cam timing (DIVCT) system which is activated by the positive and negative torques generated by the movement of the intake and exhaust valves. This variable timing system features actuation rates of more than 150 degrees per second throughout the rev range, to optimize power, torque and economy at all engine speeds. This responsive and uninterrupted power delivery is made possible through the use of spray-guided direct injection (SGDI) which delivers precisely measured quantities of fuel directly into the center of the combustion chambers at pressures of up to 150bar. The fuel is delivered several times during each combustion cycle, creating a more homogenous air-fuel mixture for cleaner and more efficient combustion. To further maximize combustion efficiency, the LR-V6 supercharged features spark plugs which are precisely oriented both in relation to the injector and within the combustion chamber. The compression ratio is also raised from 9.5:1 in the supercharged V8 to 10.5:1, further improving fuel economy and reducing emissions. Key to this engine’s high-specific output and efficiency is the latest-generation Roots-type twin vortex supercharger which is mounted in the ‘V’ of the engine. A water-cooled inter-cooler reduces the temperature of the intake air to optimise power and efficiency. New to the 3.0 V6 supercharged is that the supercharger boost control is electronically supervised by new Bosch engine management software, offering efficiency gains of up to 20 percent. In creating the new 3.0 V6 supercharged engine, Land Rover engineers devised an innovative system of counter-rotating front and rear balancer weights which lend it the same smoothness and refinement characteristics as its larger V8 brother. The LR-V6 supercharged has a unique pressure die-cast oil pan which features a deeper profile and revised oil pick-up pipework to accommodate extreme tilting angles of up to 45 degrees fore/aft. In addition, to cater for the all-new Range Rover’s 900mm wading depth, the V6 engine’s belt drives are waterproofed, as are the alternator, air conditioning compressor, power steering pump and starter motor. The 3.0 V6 supercharged power train is paired with the eight-speed ZF 8HP70 automatic transmission, with a large spread of ratios which allows the engine’s prodigious power to be fully exploited while optimizing economy and emissions.